London: Hodder & Stoughton, 1925. 1st Edition. Hardcover. 277p. A near fine hardcover book in a like dustjacket. Very minor foxing to endpapers else fine in a jacket with just a trace of fading to the red lettering on spine. Chesterton's take on William Cobbett, the English author and politician. 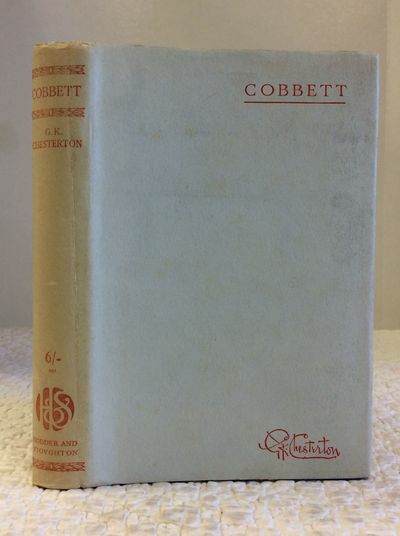 Although he was not a Catholic, Cobbett was a fiery advocate of Catholic Emancipation in Britain.